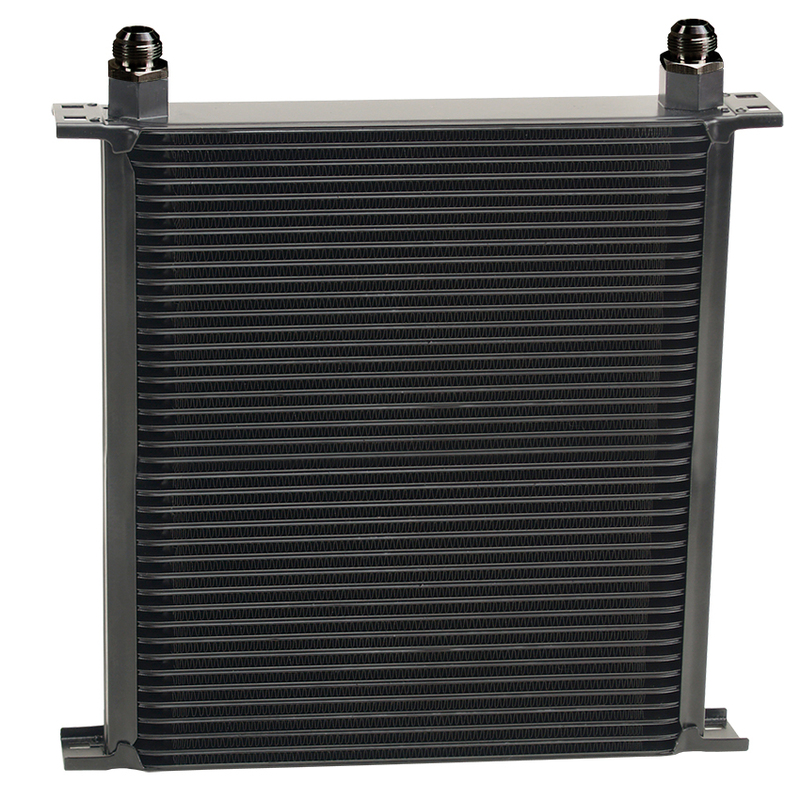 Our most efficient heat exchanger, the all aluminum 40 row Stacked Plate cooler features sturdy furnace brazed construction, full 2" deep turbulator-equipped plates and a black powder coat finish. 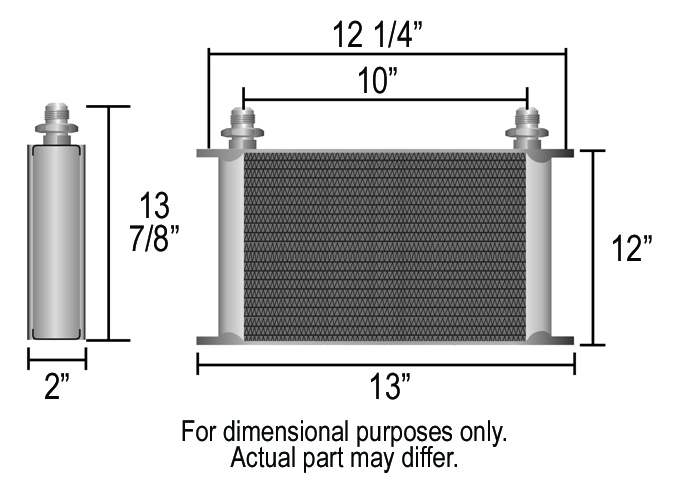 With minimal pressure drop it can be used for engine, transmission or fuel cooling. Includes aluminum -10AN male adapter fittings.